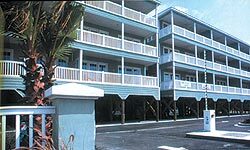 They say location is everything and that is certainly true of the Folly Beach Pavilion Watch condominiums. Right at the corner of Center St. and Ashley Ave., Pavilion Watch is directly across from the magnificent Atlantic Ocean and has the views to prove it! Each unit faces the ocean allowing homeowners dolphin sightings and spectacular sunsets. An upscale community, Pavilion Watch has gated access, with reserved secure parking under each building. Elevators are conveniently located throughout the complex. Each 1,352 sq. ft. villa at Pavilion Watch offers three bedrooms and three baths, master suite and great room atrium doors leading to a spacious covered porch, and a separate eat-at breakfast bar. The gourmet kitchen is well designed with plenty of cabinet and pantry space. High 9-foot ceilings are banded by custom crown mouldings. Each unit has been upgraded and features hardwood floors, Berber carpeting in all the bedrooms, ceramic tile baths, and Corian counters. When you tire of the ocean, Pavilion Watch has amenities such as tennis courts, a swimming pool and whirlpool hot tub for additional entertainment. Or spend the afternoon exploring the quaint locally owned shops and restaurants that make up eclectic downtown Folly Beach. If fishing is your passion then a home at Pavilion Watch is the place to live! Only steps away from the Folly Beach Edwin S. Taylor fishing pier, its the perfect place to spend the day. For the more adventurous angler, try surf fishing or charter a boat for an afternoon of deep-sea fishing! Rich in history and culture, downtown Charleston is only a short 15-minute drive away. When home is Pavilion Watch you can enjoy the pounding surf while having your morning coffee, spend the day relaxing on the sugar-spun beach, then drive into Charleston for an elegant dinner. Pavilion Watch villas are listed from $360,000 to $395,000  a great buy for a brand new condominium with ocean views! For more information on the exciting life awaiting you at Pavilion Watch please call LaJuan Kennedy at Fred Holland Realty 843-588-2562 or please visit our website at www.fredhollandrealty.com.